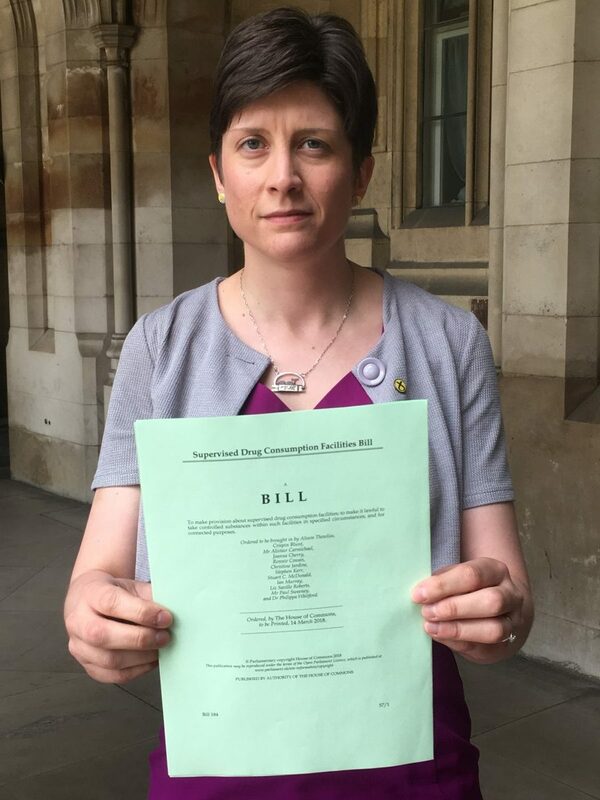 MP for Glasgow Central, Alison Thewliss, has today launched her Private Members’ Bill on Safe Drug Consumption Facilities (SDCFs), in an attempt to tackle head-on the growing number of people dying in Glasgow as a result of drug overdose. The Supervised Drug Consumption Facilities Bill seeks to amend key areas of the Misuse of Drugs Act 1971, and if passed would enable plans for a pilot facility to proceed in Glasgow, ensuring that service users and employees can use the facility without fear of being prosecuted. In recent months, proposals for a SDCF have gathered cross party support from MPs at Westminster and a majority of MSPs in the Scottish Parliament, as well as the unanimous backing of councillors at Glasgow City Council. “The weight of evidence in support of a safe drugs consumption facility has never been more compelling. There are approximately 500 people actively injecting drugs in Glasgow city centre, and recent reports describe the unprecedented HIV outbreak in the city as out of control. What’s more, I am greatly concerned for the safety of my constituents as a result of needles left in bin sheds, closes and back lanes. “Recent debates in the Scottish Parliament and Glasgow City Council have demonstrated a clear desire for the introduction of a safe drug consumption facility, with support from all parties, including members of the Conservative Party. My Bill will take new steps to enable drug addiction to be treated as a public health issue, whilst ensuring that criminal activity from illegal drugs continues to be robustly tackled by the police. “People are dying on the streets of my constituency, and the risk to the general public from discarded needles and transmission of blood-borne diseases is very real. The only remaining barrier to doing something different is the Home Office’s unwillingness to grant an exemption.